Interesting combination - but we did have a lot of sunshine yesterday! Very cute! 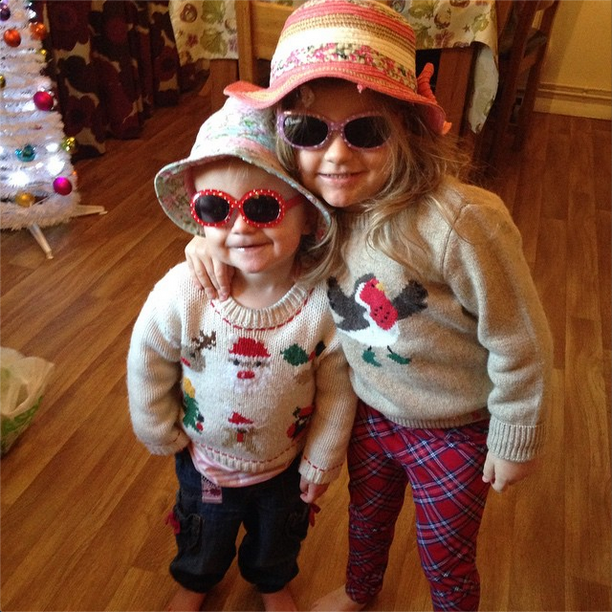 Lovely to remember summer even when you are rocking your Christmas jumper! So trendy, loving the hat and sunglasses combo!